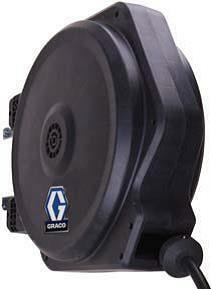 Reduce clutter and increase workplace safety with a Graco one-piece hose reel. 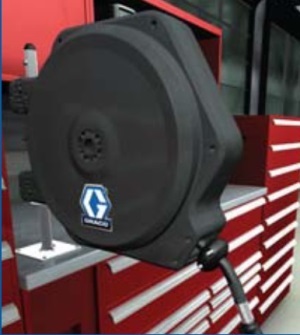 Designed for light-duty applications in dealerships, service garages, collision repair and industrial manufacturing facilities, get more for less money! With a built-in enclosure, the one piece design protects internal components from the elements and extends hose life. 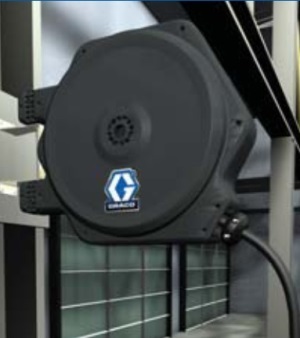 Inside, the full flow swivel maximizes fluid output while minimizing pressure loss. 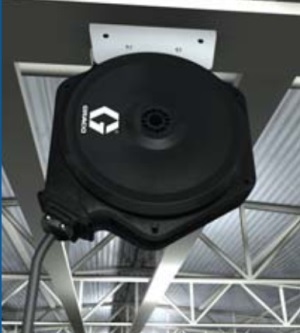 Unlike other reels, you can easily increase or decrease spring tension while the hose is pressurized.